I think everyone is in love with Paris, especially with its unique clothing style. In this post, I am going to show you my favorite chic outfits inspired by Paris fashion and street style. Of course, the best way is to go and see everything by yourself, but what to do if you don’t have a chance to go there? You will need some sort of inspiration. I am here to help you, my dear reader. 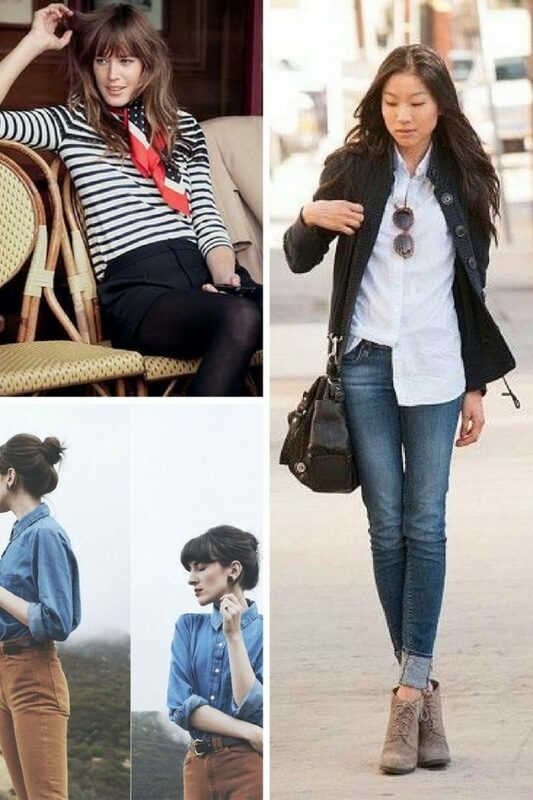 Here are a few outfit ideas to get inspired by. Keep on scrolling to find out more. How about adding layers? This look is ideal for chilly mornings and cold summer days. Go for a stylish beret completed with a bow, conservative mustard-orange sweater, high-rise denim shorts and opaque tights worn with suede lace-up wedge ankle-boots. If you want to keep things monochrome, then I recommend to try on basic black and white colors. Go for a black leather jacket with white fur collar and wear it atop semi-sheer white shirt tucked in black slacks. Complete the outfit by adding glossy mid-heel shoes, bright blue handbag and statement black sunglasses. Don’t forget about accessories. An accessory is an important aspect of your look. Try on oversized earrings, statement necklace, big patterned scarf, big fold-up clutch and knitted beanie. Wear all these accessories all at once. If you are one of those ladies who want to keep thongs chic and classy, then I recommend to try on grid print dress and add your favorite chunky jewelry on. Or you can keep things simple and soft. 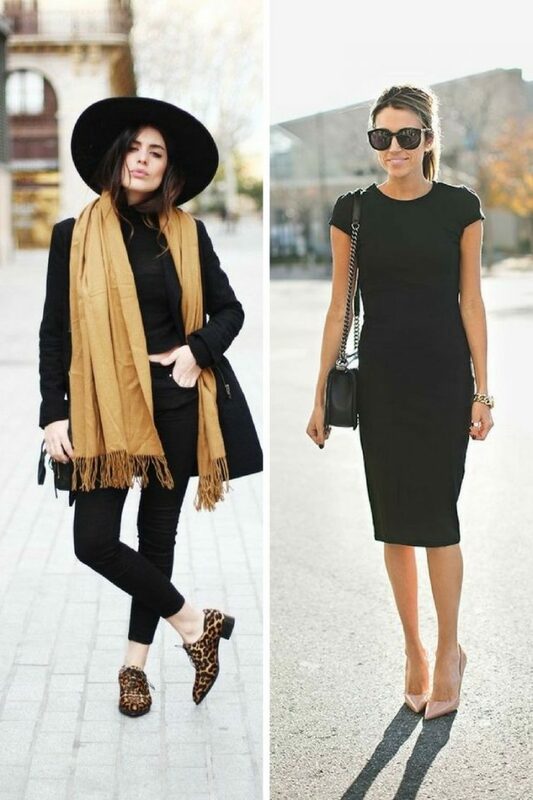 All you need is a striped long-sleeve top, velvet skinnies, statement scarf that will match your beret. Keep things bold and bright. Go for a printed shirt and tuck it inside matching print wrap skirt that can be completed with a skinny belt, while the shoes can be colored in completed different hue. Believe me, it will make you stand out from the crowd. If you do like pastels, then keep things innocent and sweet. Go for a light pink knife-pleated skirt and pair it with cream white top and knitted short-sleeve cardigan. Which one of these ideas do you find the prettiest? Tell me in the comments below. Do You have any thoughts about Paris Chic Fashion Trends? 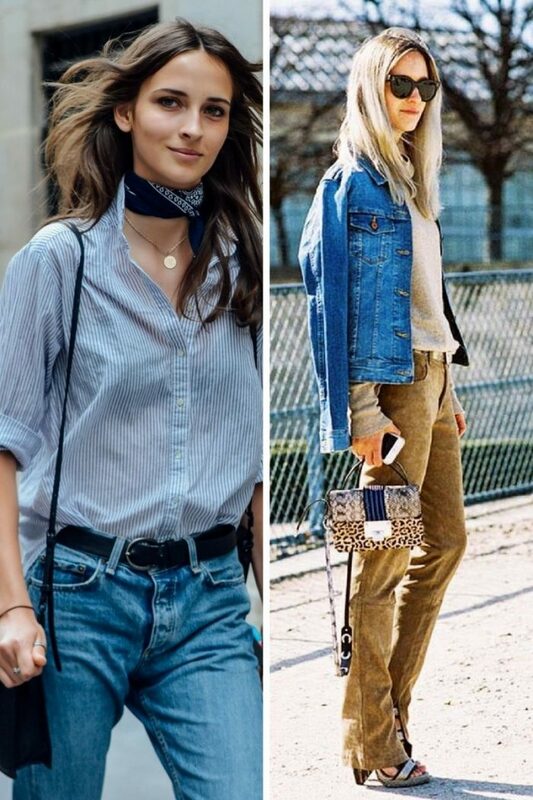 Here are Fashion Tips pictures and trendy women’s outfits which are in style in 2019: Must Have Fashion Trends For Women, Paris Chic, Paris Fashion 2018, Street Style Women's Fashion And Inspiration and tips on how to wear them on the streets.